Eleanor Ruth Uptain, 89, of Chattanooga, passed away on Friday, February 8, 2019. Ruth was born in Albertville, Al., and has been a longtime resident of the Chattanooga area. She was a member of Lupton Drive Baptist Church. Ruth was preceded in death by her husband of 57 years, Mann Uptain and a grandson, Matthew Allen. Ruth is survived by her two children, Diana (Clay) Allen and Randall (Ruth) Uptain; grandchildren, Randall (Megan) Uptain, II, Emily (John) Strange, Alan Uptain and Angela (Nic) Gonzales; granddaughter-in-law, Molissa Allen; four great-grandchildren; several nieces and nephews. The family will receive friends from 11 a.m. to 1 p.m. on Monday, Feb. 11, at the North Chapel of Chattanooga Funeral Home. A graveside service will follow at 1 p.m. on Monday, at Hamilton Memorial Gardens with Reverend Randy Bell officiating. 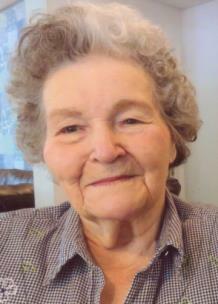 Memorial contributions may be made in Ruth’s name to Lupton Drive Baptist Church, 859 Lupton Drive, Chattanooga, Tn. 37415.